Zune data recovery software recovers lost, deleted, corrupted zune music files, songs and other files/folders from commonly used zune music player. Zune music retrieval software recovers music, songs, mp3, mp4, pictures, video files and folders from commonly used digital audio video music player. Software restore files lost music and audio files including aac, mp3, m4a, m4b, wma etc file formats and video files including asf, mp4, mov, wmv etc file formats due to accidental deletion, improper restoration, damaged file system or device working in corrupt mode etc. Zune music retrieval software is very easy to use and does not require any technical skills to operate it. √ Recover deleted corrupted Zune files and folders from music device. √ Rescue logically corrupted damaged Zune files and folders from the Zune music player. √ Recovers music files lost due to Zune-to-Zune sharing (Wi-Fi feature). √ Retrieve Data even if “Drive not formatted” error message is displayed while accessing Zune Drive in My Computer. √ Data recovery from accidentally formatted or when zune music reset operation performed. √ Supports JPEG format for images, the WMV format for video, and audio formats MP3, AAC (.m4a), WMA and WMA Standard. √ Recover zune music lost due to human error or any Virus Generated music Loss. 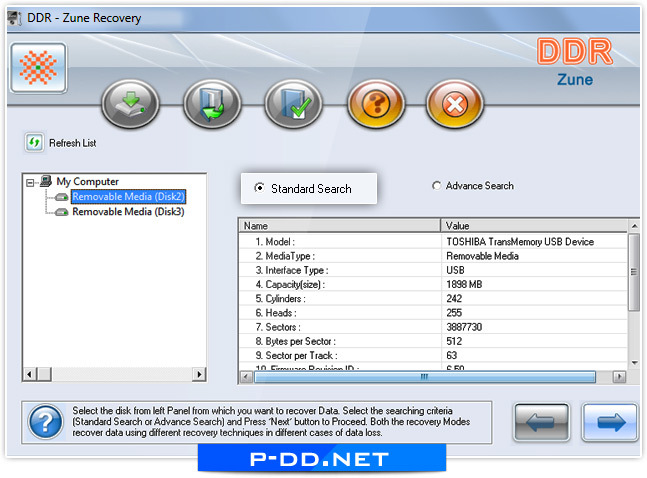 √ Data recovery support even from accidentally formatted or corrupted Zune memory.